It was great to honor those who have served our country with a special morning assembly. 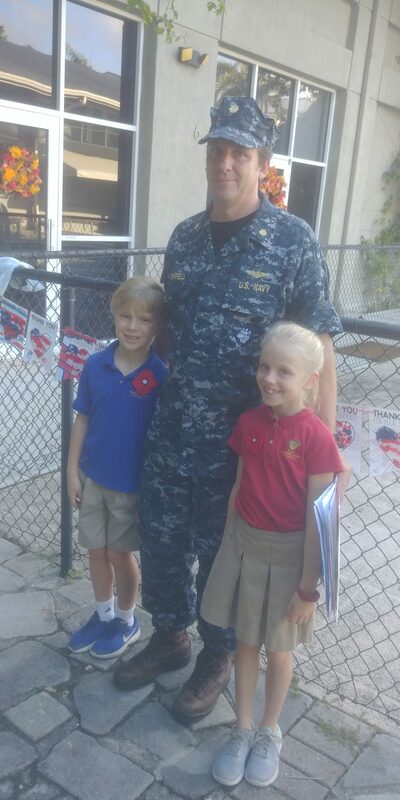 Mr. Benfield came in his Navy uniform to represent all our servicemen. He also took letters of gratitude written by our students, so that they can be delivered to others who also served. Thanks to all who participated!